Get into the Chanukah spirit with this fun, hands-on Chanukah workshop for kids! Dream, create, build. Anything is possible in our Maccabee Makerspace! 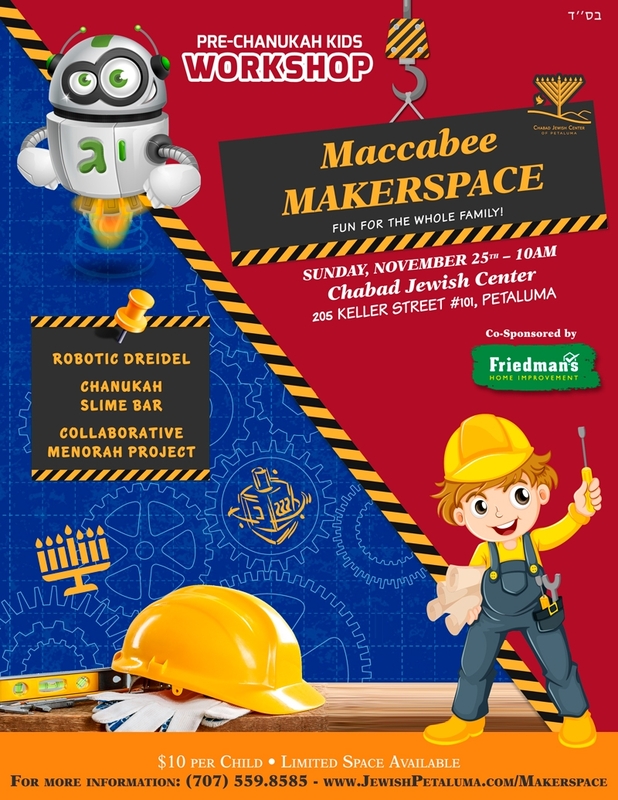 • Let your imagination run wild in a collaborative Menorah project! Generously sponsored by Friedman's Home Improvement.